7 29 2017 Weigh In (#2) - Do you weigh daily? 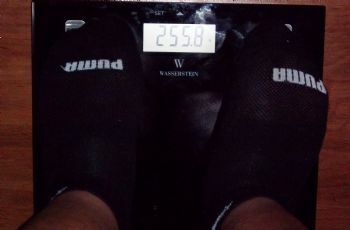 Apparently all the things we've been hearing about the pitfalls of daily weighing don't add up. Listening to "Cut the Fat Podcast" Dr. Ray spoke about a study that showed that people who weighed themselves daily lost more weight overall than those that weighed weekly. Even more than those that weighed in every other day. If you've created a dreamboard or look at your bucket list daily how much more likely are you to achieve/do those things as opposed to the person that maybe looks at theirs weekly or every few months? I usually only weight once a week but about the middle of the week, I will step on the scales just to see if I'm still maintaining. Either way is good ... just make sure you weigh at least once a week to be sure you are really staying on track from week to week. Adjustments can be made at that time.